by Eric Schlosser | Nonfiction | This book has not been rated. I picked this book up during our holidays in England, at the Brunswick Jazz festival in Brighton. I have wanted to read it for a long time. 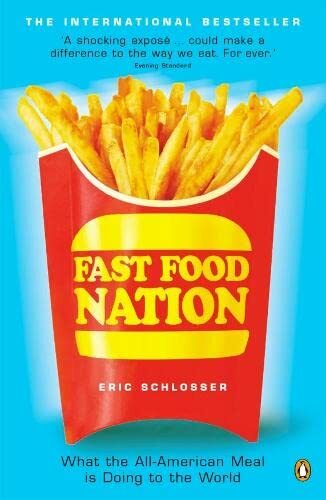 Just when I was reading this book, the TV showed the documentary "Super size me". And if we didn't know it, McDonalds is a scary company, scary because they are to extremely big and therefore powerful. Just last year, Congress passed a law prohibiting anyone obese to sue the fast food corporations for their health problems. How do you think they came up with that? The only thing we can do is stay away from there. All of us.